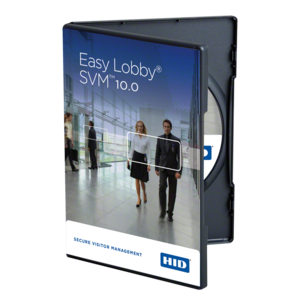 As part of HID Global’s EasyLobby® Secure Visitor Management software portfolio, the eAdvance™ solution is a web-based application that enables authorized employees or tenants to quickly and easily pre-register visitors online, before the guest arrives. Using an organization’s internal intranet or Internet, any or all employees can be granted access to use eAdvance with no training required. The employee simply logs onto eAdvance, which is located onsite, and completes a simple visitor registration form. In a busy lobby, using eAdvance can greatly reduce visitor check-in time and lobby congestion. Since the visitor can be pre-registered through eAdvance, the receptionist or guard can simply scan the visitor’s license when they arrive (or quickly consult an on-screen list of pre-registered visitors), and with one mouse click, the visitor is checked in and the badge is printed.